For generations the Ahn, Voyan, and Humans have thrived living side by side. The ambitious Ahn need solitude. The communal Voyan thought share and hear the voices of the sacred dead around them. Now Humans are becoming more like the Ahn, and the Voyan are struggling. Teagan is a single Voyan mother and wet nurse. She lost the ability to thought share. Though she spends hours walking in the desert searching for the voices she once heard, she embraces her new found intellectual focus and is drawn into the Human world of Albuquerque, New Mexico. Teagan plans to go into hiding to avoid being forced back to a Voyan community where her daughter would be an outcast. However she meets Josh, a generous and handsome man who understands her better than anyone. She loves him, and Josh takes an active role in parenting Teagan’s daughter. Teagan discovers that her behavior is more Human than Voyan because she has been unknowingly medicated. She is part of a secret and manipulative eugenics program designed by Josh’s best friend. Teagan questions her faith in Josh while needing him in her life more than ever. Once off the medication, Teagan loses her focus, and her dream of helping her people through research slips away. Teagan is kidnapped by the Voyan and put into a lucid trance for months. During this time she feels the desperation of her people. But Teagan hears the call of the Kokopelli’s flute. She knows she is called for a purpose, and she escapes back to Human society. At this point, though, Teagan can no longer speak verbally. She asks the Ahn to continue providing her the medication so she can live as a Human and stay with her daughter and Josh. She knows she is called to help her people. 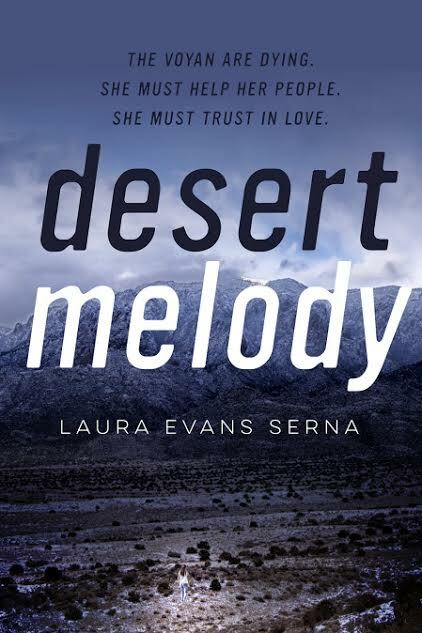 Desert Melody is available for purchase at Amazon and Barnes & Noble. I lay in bed, enjoying the morning quiet as I watched my sleeping daughter. Her jet-white hair fanned out across our pillow. Thin white drapes over the window swelled gently as the cool morning air washed over us. I traced the scars up and down my arms and chest, my hand stopping as usual on the jagged scar across my lower back. Would I ever forget? Did I want to? Thankfully, my Brianna stirred just then, bringing me back to the present. She opened her chocolate-brown eyes and melted my heart with her smile. I sent her off into the kitchen with my aunt Eva so that I could begin my morning ritual. I pulled out my electric breast pump and set it on the dresser. My milk has Factor K, a protein known to significantly improve survivability for weak Voyan newborns. Only about 10 percent of Voyan women produce Factor K. Even without this protein, though, Voyan milk is invaluable because many postpartum Voyan have found they can no longer produce milk. Despite the efforts of a handful of dedicated Human biochemists, no suitable formula has been developed for Voyan babies. Donors save babies from starvation. The buzz in my head grew stronger. Unintelligible whispers sneaked in to taunt me, to remind me of my damaged state. I could no longer pick up the thoughts of my family, and they couldn’t pick up mine. I stepped into the shower, letting the thrum of water on my head chase the mumblings away. As I got dressed, Eva peeked her head in. In the light of the morning sun, the delicate scars across her chest looked like fine lace. “Teagan, I made cinnamon rolls. Brianna’s favorite.” Her voice was slow and sweet. “Everyone’s favorite,” I said, winking at Eva. She turned to go but remembered something. Eva couldn’t understand my desire to get away from my Voyan family. With the Voyan, I was deaf and mute. I was disabled. Out in the city, I could pretend to be Human. “Just a few moments?” she asked nervously. I knew exactly what she meant. Eva wanted me to spend time with our ancestors. Picking up Brianna, I headed to the tiny golden room behind the kitchen. Brianna was mesmerized by the candles that lit up the small ancestor room. A few silver and gold urns sat together in a corner. I could tell that at one time the urns had engraved designs, but now they were worn from years of being touched and rubbed. They held the ashes of my ancestors as well as those of many other Voyan my family happened to meet. I closed my eyes, listening for something I knew I could no longer hear. The air was thick, and not just from smoke. I could almost feel the voices of the dead around me, but not quite. And the more I tried to feel them, the harder it was. Laura Evans Serna grew up in Albuquerque wandering the Sandia mountains and enjoying magnificent sunsets each night. She was spoiled by the mountain and desert wilderness and the freedom it offered. Now that she’s lived in Oxford, Washington, DC, and Tokyo, she knows how rare and precious that kind of experience is. As a teenager Laura would lie on her concrete driveway with her siblings and friends, watching Hale Bopp slowly cross the sky. She discussed science and theology with no reservation. What are the laws of physics, and where did they come from? What do they mean? Where do humans fit into all of this? What binds society together? Laura believes that these are the questions that make us human. They don’t belong to the scientists, philosophers, or theologians. Everyone has a right to make them their own. 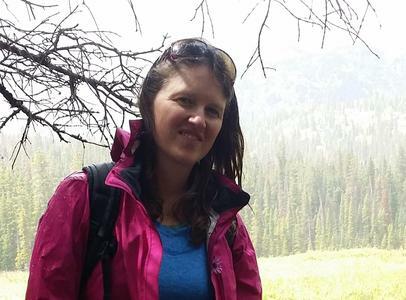 Laura started her undergraduate degree in Chemistry at the University of New Mexico. At the time, she was tired of Albuquerque. Until she left she didn’t appreciate the unique mix of cultures or the abundance of intellectual activity of her home town. She married a man in the Air Force and followed him to Colorado, where she spent her time teaching English with Catholic Charities and finishing up a degree in math at the University of Colorado at Boulder. Next Laura moved to the UK where she had the opportunity to study at the University of Oxford. She earned an MSc in Mathematical Modelling while pregnant and experiencing motherhood for the first time. (It was a struggle, to be sure!) Laura found Oxford to be a fantastic, walkable city perfect for pushing a newborn around in a pram. Although they only spent three years in Oxford, she will always feel as if it is a home of sorts for them. Laura spent periods of time teaching math and doing technical editing, but motherhood suits her more than any other hat she’s worn. Her three daughters are a constant joy. She has come to the conclusion that the world over needs more, not less, of the maternal touch, and she wants to write stories featuring strong, intelligent mothers. You can visit her website at www.lauraevansserna.com or connect with her on Facebook.